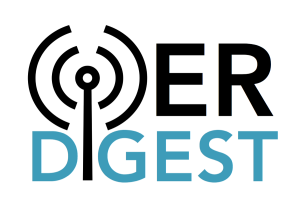 SIGNING OFF (from Digest co-author Brady Yano): I’m sad to share that this will be the last OER Digest I contribute to in my capacity at SPARC. Thank you to our readers for engaging with our bi-weekly content and thank you to Ethan Senack for bringing myself and SPARC onto this fantastic project! While I leave my role at SPARC at the end of the month, you can still find me on Twitter @bradyyano. Bye for now! IN THE STATES: California passed a bill last year requiring most state institutions to mark courses using OER or no-cost materials on their course schedule. That legislation is set to become operative in just a few weeks on January 1st. In Washington, a bill to create grants at six different state universities is still on hold, though proponents are hopeful. ON CAMPUS: Institutions – and increasingly, their student governments – are stepping up on open education. SUNY Oswego made news around their Shakespearean Acting OER, Lansing Community College’s OER Project Manager Regina Gong was featured on their Fox affiliate, and student governments advocating for OER made news at the University of Tennessee, University of Missouri, and University of Illinois. In Canada, the Ontario Undergraduate Student Alliance released a policy paper on their vision for OER in province. ON THE RANGE: The Wyoming Department of Education announced this week that they’re developing a statewide, K-20 Learning Management System in hopes of encouraging more educators to incorporate OER into their classes. Officials say they hope the change will spur greater personalization and reduce costs. PUBLISHER PRESENCE: The increasing interest of textbook publishers like Cengage in OER has made headlines this week, following the announcement of their new OER-based learning platform. While many questions remain unanswered, their team is working to sell the higher education community on the idea. More discussion of the changes from their perspective in the Community College Daily and on Xconomy. OPENSTAX IN ACTION: The open textbook publisher and the math technology company Carnegie Learning have announced a partnership to combine their open books and materials with Carnegie’s deep AI-based learning software to improve student access to and performance in developmental math. Also from OpenStax, their open textbooks are now available through VitalSource and RedShelf, two major digital textbook providers for college campuses. HAPPY THANKSGIVING: To all the folks celebrating tomorrow! CALL FOR PROPOSALS EXTENDED: Missed out on submitting to #OER18 in Bristol? Fret not, the deadline has been extended to November 26th. https://oer18.oerconf.org/call-for-proposals/. REPORTING BACK: Last week nearly 200 early career open advocates from around the world convened in Berlin, Germany as participants of the 4th annual OpenCon. This year’s program featured four plenary sessions ranging in topics from next generation open initiatives to a highly regarded panel on diversity, equity and inclusion, as well as for the first time seven regional workshops and a full day do-a-thon! To catch up on what you missed, check out #OpenCon, outputs from the conference on GitHub, and recordings from the event here. Authors working in partnership with the Rebus Community have just released a new open textbook, Media Innovation and Entrepreneurship. The book, in their description: “is the first edition of a modular open textbook designed for entrepreneurial journalism, media innovation, and related courses.” The book will be available for print-on-demand in December and you can read more about it here. The Center for OER and Language Learning is out with an openly-licensed student workbook called Recorridos to improve understanding of don Quixote in upper-level spanish courses. More information here. Most districts make an adoption decision for Mathematics (59%), followed by English Language Arts (44%), Science (29%), and History and Social Studies (19%). Districts with a high proportion of students in poverty have adopted open licensed full course curricula materials at twice the rate of districts with low rates of child poverty (22% as compared to 10%). ON THE RISE? : Earlier this week, Inside Higher Ed published a story on “inclusive access” highlighting the publishing industry’s move to new business models. In the article, OER advocates Nicole Allen and Rajiv Jhangiani cited concerns that these models allow publishers to control when and how students access materials while restricting student choice. Catch up on Nicole Allen’s tweetstorm on inclusive access models here. ZED CRED: Last week, Kwantlen Polytechnic University and BCcampus announced the release of Canada’s first Zed Cred! Students working towards a Certificate of Arts at KPU can now choose from nearly 50 zero textbook cost course offerings. As part of BCcampus’ Open Textbook Project anniversary last month, they announced that KPU is their leading institutional adopter. TEXTBOOK GAME: No, we’re not kidding! Staff from De Anza College developed a new game aimed at showcasing how students struggle with college expenses, especially textbooks. The game is licensed CC BY, and is available for download and adaption here. OER METAFINDER: Last month, George Mason University in collaboration with Deep Web Technologies released a new resource marketed as a one-stop search box for Open and Affordable Educational Resources. The resource sources its findings from many popular OER repositories and referatories such as MERLOT, OER Commons, and the Open Textbook Library. You can learn more about the resource here. IT’S UP TO LIBRARIANS: Acknowledging the progress made in other states, a new paper written by Steven Bell and Joseph Salem outlines a framework for how Pennsylvania’s academic librarians can develop a statewide initiative to tackle the challenge of textbook affordability. The Open Textbook Network has added a new title, Beginning Japanese for Professionals: Book 2. This textbook is designed for beginning learners who want to learn basic Japanese for the purpose of living and working in Japan.